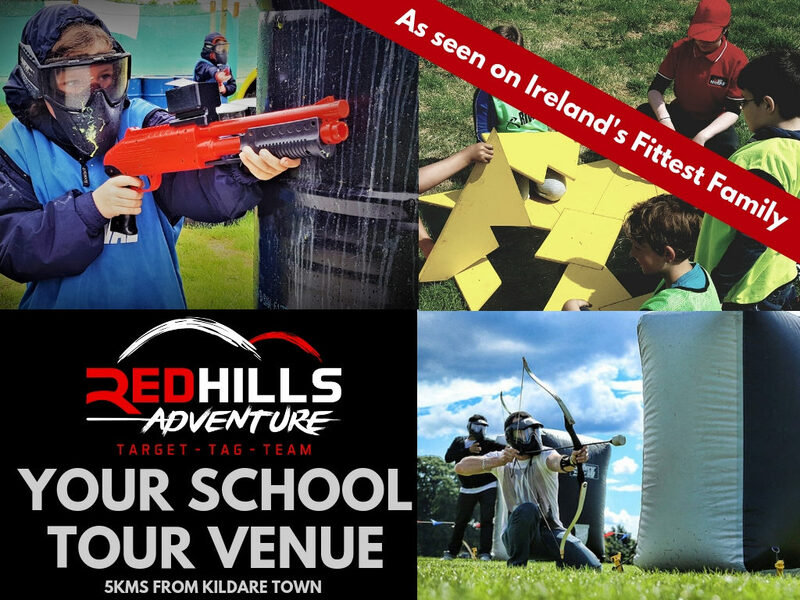 Redhills is a unique venue (a diversified old farm) just off the M7, a few kilometers outside of Kildare town catering for all ages 8 years and up with a range of fun, exciting and different to the norm activities for your 2019 school tour! We offer great value primary and secondary school packages and can cater for School Tours up to 150 participants. Archery Tag Games – Dodgeball with bows and arrows! We recognise that the teachers need some attention as well, so we supply travelling teachers with free lunch, tea and coffee. 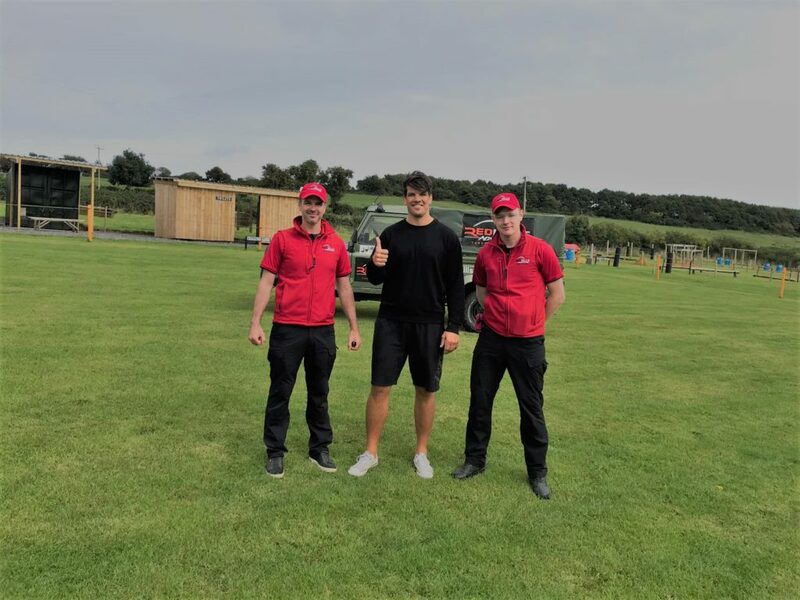 Our activity zones are fully supervised with Garda vetted and trained instructors who have an excellent understanding of looking after groups of young children to ensure all involved have a fun and safe day out. Changing Facilities – Due to the large number of children involved, our conventional changing facilities can often delay proceedings so we provide a boys and girls outdoor sheltered area to change which must be supervised by the teachers. If a private changing area is required, please advise in advance. Our large indoor seating area (non activity) is perfect for bad weather should it occur. In most instances and to ensure maximum activity time, we generally host breaks in the outdoor game zones. Teachers will be provided with a seated and sheltered area overlooking the game zones. Redhills Adventure is an outdoor centre and we operate no matter what the weather (within reason). We have shelters installed in the game zones and a large indoor registration area (non-activity) for lunch break if necessary. None of our activities involve water however should it rain, a change of clothes is recommended. All children participating in Splatmaster must have legs and arms covered. We recently upgraded our bus parking facilities. We are located 5kms outside Kildare Town. The roads are suitable for double decker coaches. Please refer your bus company to us if they have any questions regarding getting to us. We are on Google Maps. 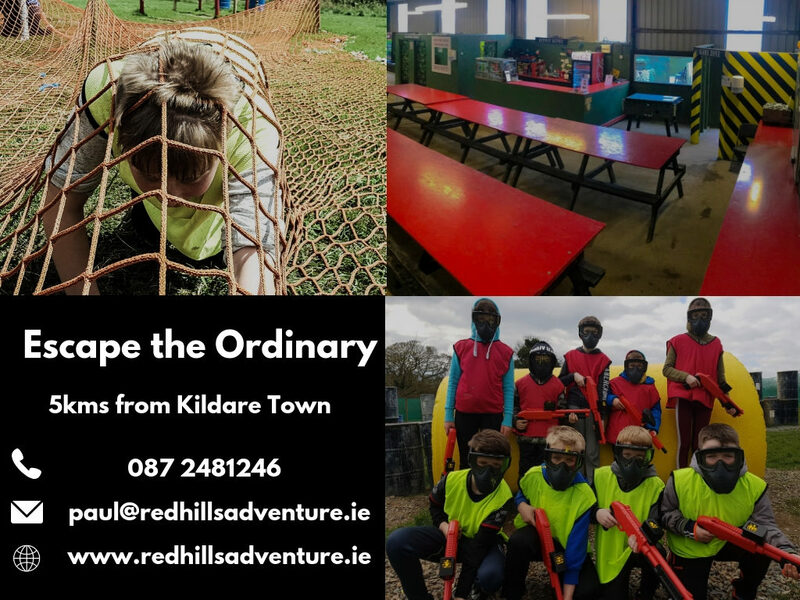 For further information, available dates or a quote please call Paul on 087 2481246 or email me directly at paul@redhillsadventure.ie. We very much look forward to hearing from you and welcoming your group to Redhills should you choose us as your new School Tour Venue.